Alexandre has styled the biggest weddings of the elite. Its fame, resulting from its know-how, made the Brides of Alexandre an international must. 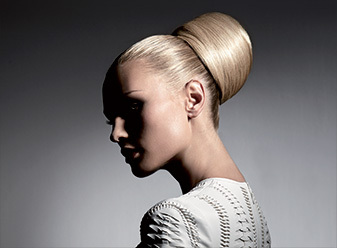 This new course will allow you to understand the world of Bridal hairstyles in its entirety. You will study the building of chignons in turn contemporary and more structured requiring the use of a hair donut or a hairpiece, the placement of accessories, the installation of veil. And to complete, you will learn how to manage the service itself, from the study of needs to the test of hairdressing, through the creation of the ideal chignon according to imposed criteria. You will discover all the secrets of our know-how in the matter to consolidate and enrich yours. Objective : To understand the whole world of Bridal Hairstyles. Acquisition of technical know-how and skills development. Content : Alternation of demonstrations, exchanges and theoretical contributions followed by practice. Completed with a hands-on, creative case study workshop on the last day.